Our goal at Bluewater Pools & Spas is to enhance the quality of life that our customers enjoy. That’s why we offer the widest selection of top-quality, trusted, brand names of leisure products and equipment. 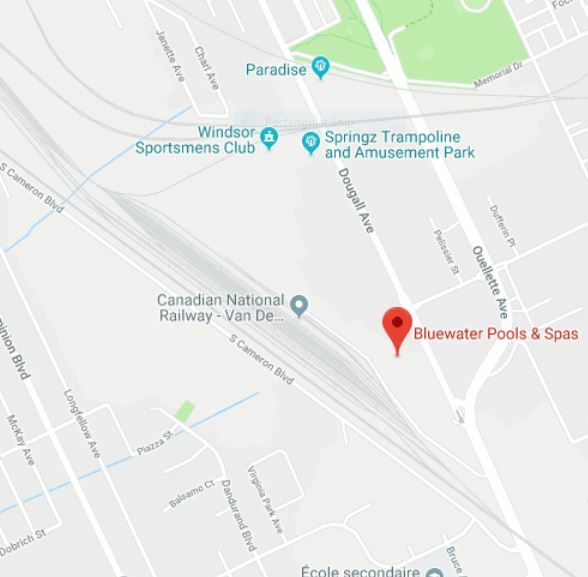 Visit our Bluewater Pools & Spas Location in Windsor for selection and expert knowledge and service of pools and spas. Forward To Seeing You In Windsor.